I'm new to Birchbox and August was my first box! 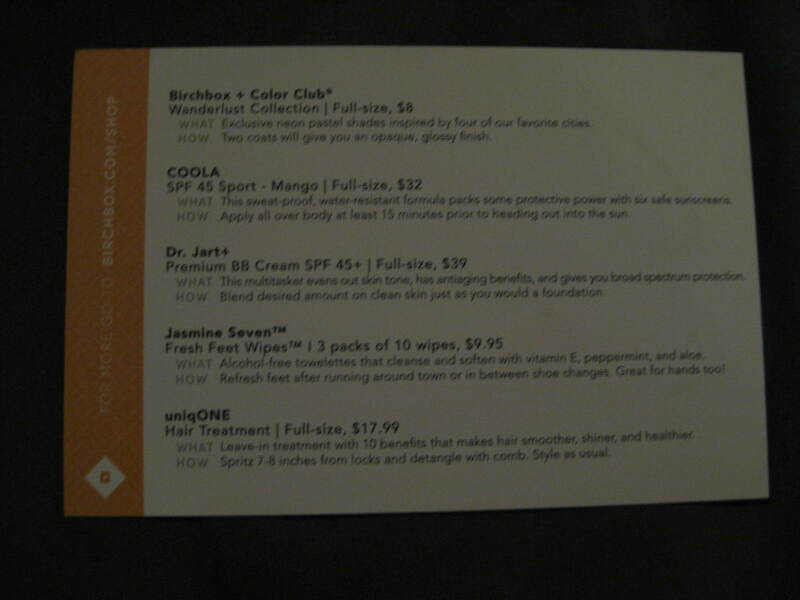 Birchbox provides samples of beauty items each month and then you are able to buy full size products in their online shop. I was very excited to try this box, because my beauty routine could really use some sprucing up! Below is what I received. The first item that caught my eye was nail polish. 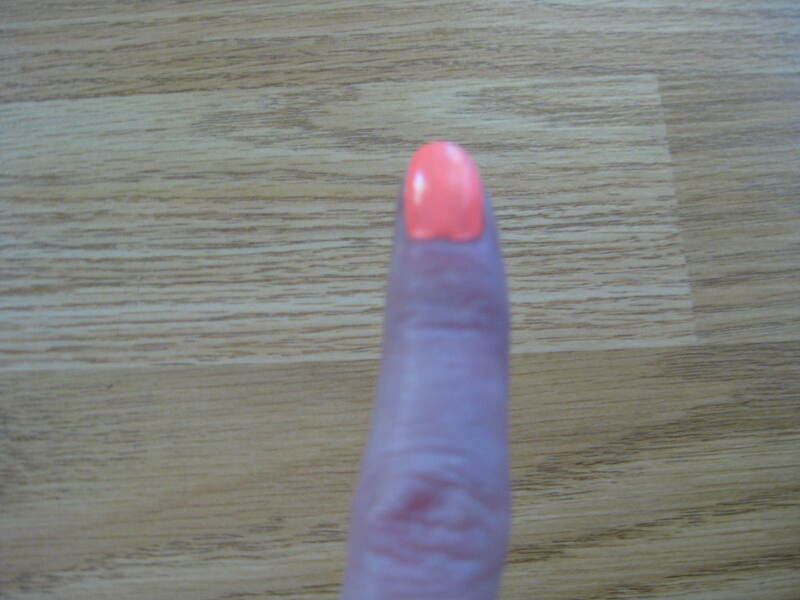 I received Birchbox + Color Club Nail Polish in Reign in Spain. It's a really fun and bright coral color and the pictures do not do it justice! It's bright like a highlighter and I'm really into anything coral right now, so this was the perfect product for me. Plus I always love a new nail polish! It painted on nicely and had great coverage, so it didn't need multiple coats. I'll be wearing this for awhile to test it out! One of the items in the smaller Birchbox blue box was a sample of Coola SPF 45 Sport Sunscreen - Mango. It's sweat-proof and water resistant and I've never tried a mango scented sunscreen before, so I'm very interested to take a whiff of it! I haven't tried it yet, but I plan to this weekend. I'll let you know how I like it. 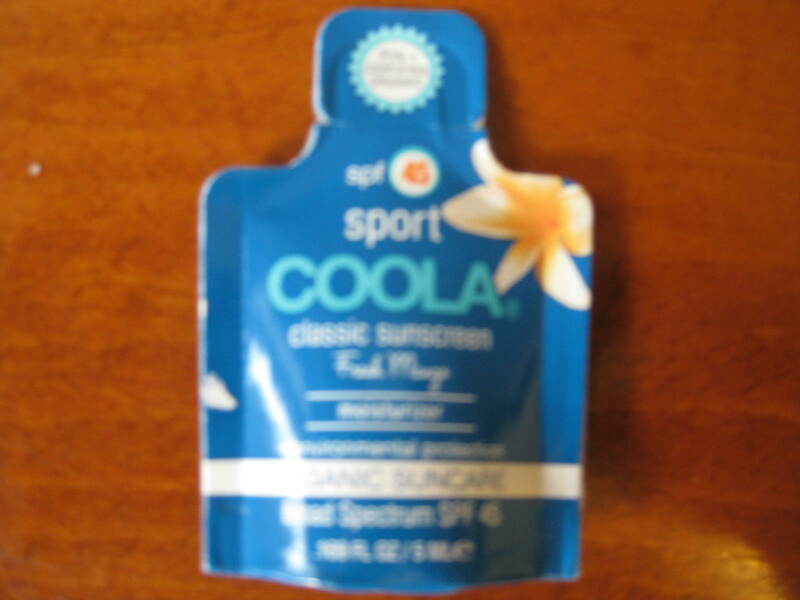 I really liked this sunscreen. The scent was fantastic, reminded me of umbrella drinks and beautiful sandy beaches! It also was a good consistency and blended in well without leaving a white film. It worked well on a hot day. My only complaint is that the sample was only one application. I would have liked it to be a couple, so I could try it more than once before deciding to purchase. The other sample included in the smaller Birchbox blue box was Dr. Jart+ Premium BB Cream SPF 45+. Frankly, when I saw this I was very nervous to try it. 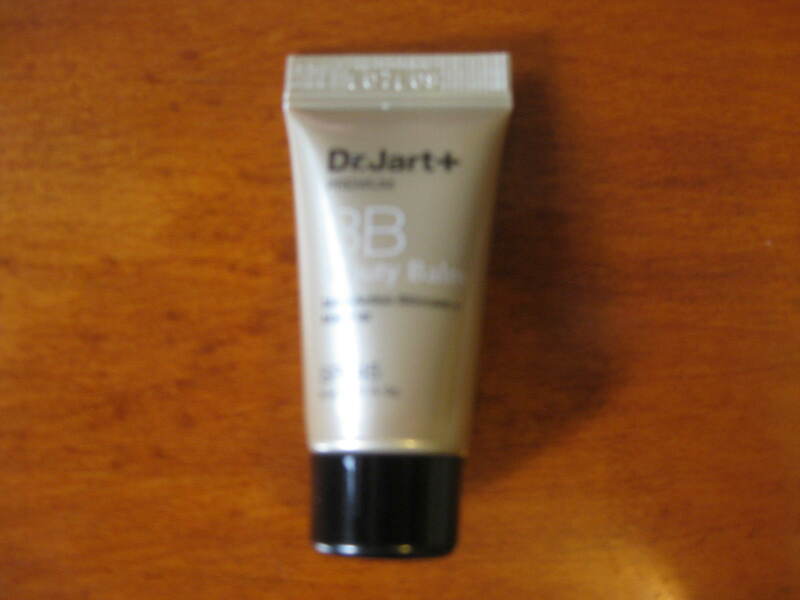 All the BB creams I've tried in the past felt heavy on my skin and I ended up taking them off within an hour. (I'm not really a foundation kind of girl) I also didn't see a color for this sample, and I was worried it would be too dark for my skin tone, because I am very pale. 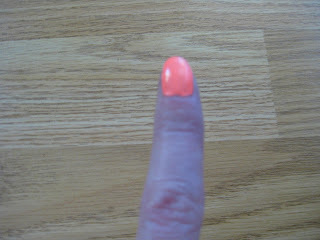 I squeezed a bit on my finger and it looked very dark, but I decided to give it a whirl! I blended it all over my face and expected to see a distinct line, but there was none. And it felt very light, like I wasn't wearing anything on my face at all. My skin is also quite oily, so I expected it to bother my skin. I checked my face mid day and it still looked really nice. It still felt like I had nothing on my skin and it wasn't oily looking. Perfection! I wore it the entire day and never felt like I was wearing any make-up. My skin looked like my skin, just a little better. I'm going to try this entire sample to see how I feel, but I sense my first purchase coming on!!! The next sample was Jasmine Seven Fresh Feet Wipes. I've never seen or heard of anything like this. 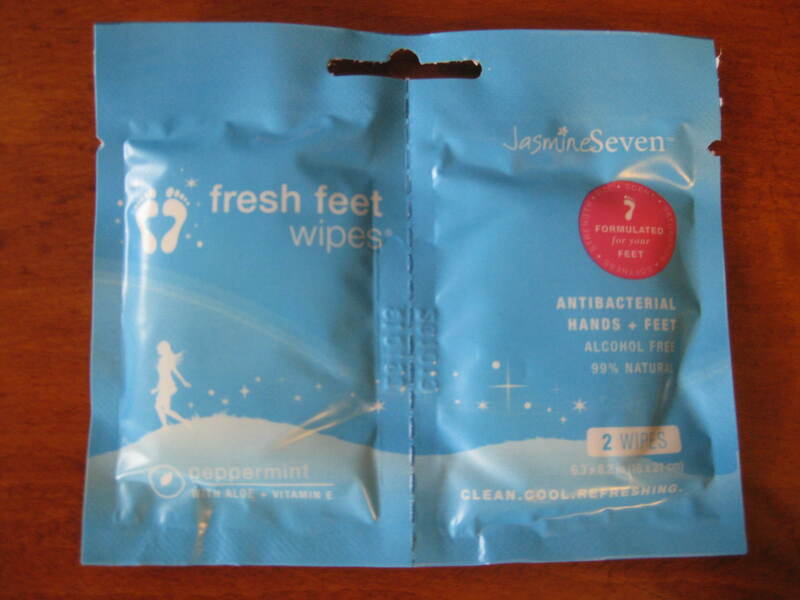 Wipes for your feet! I was ready to try them! They had a very nice peppermint scent, which was refreshing. So, I wiped my feet and that was it. They worked well and my feet felt clean and refreshed, but no miracles occurred with one use. (Haha) I think they'd be nice to use after a day at the beach or a day on your feet. They were interesting, but probably not something I would purchase for myself. This is not for me. The first turn off was the scent. It was horrible! Two things came to mind when I sprayed it. 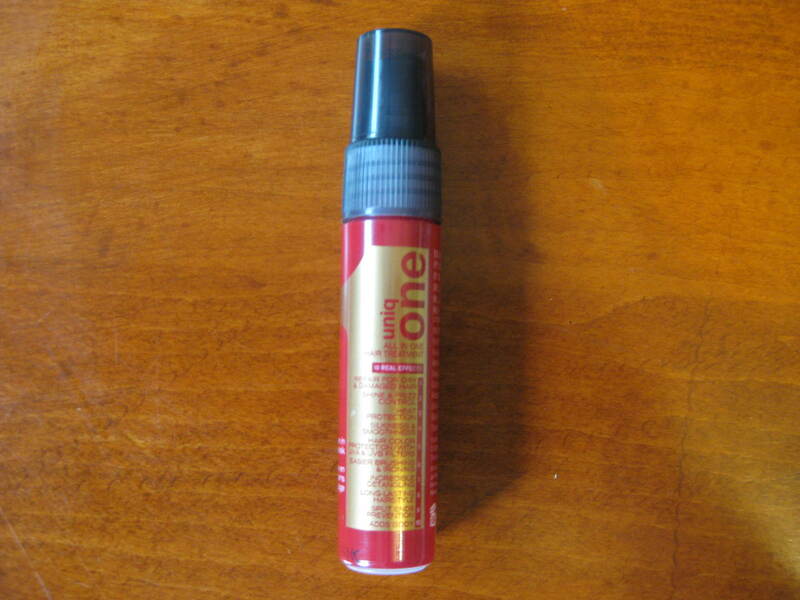 The scent of perm solution and the very strong, unattractive perfume old women wear. I almost washed my hair immediately because I couldn't stand the smell, but I decided to give it a try. I have fine hair and this product was too heavy for my hair. It made it look greasy and gross. I did not notice any of the benefits it promised, but it may work better on thicker hair. I will be sticking with It's a 10 Miracle Hair Treatment, but I'm happy I had the chance to try this. I am very happy with the samples I received! The one product I was nervous to try, may end up being one of my favorites. That's exactly what I was hoping for by subscribing to this box. It will allow me to try products that I wouldn't normally pick for myself and I hopefully will end up with some SPECTACULAR additions to my beauty routine! 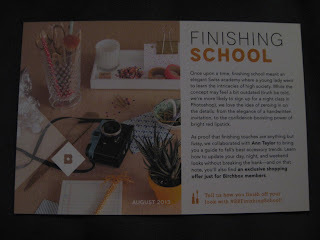 I'm looking forward to the September box already! 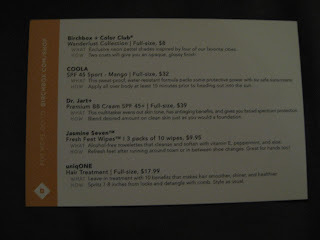 Do you get Birchbox? What products have you loved?? ?